Use our exclusive Ladbrokes promo code to get the current special offers in April 2019, as well as unlimited access to the leading operator's full range of products, services and member promotions. Note: This offer is available for all of 2019, and can be used for all sections of the site (sports, casino and poker). Click on the button above to access the Ladbrokes website. Click on ‘Join Now' and fill in the registration form. Fill in the Ladbrokes promo code. Make a deposit and place a qualifying bet as specified in the terms and conditions. Only first time customers can take advantage of the Ladbrokes promo code. The minimum deposit and qualifying bet amount is £5. Your qualifying bet must be a single at odds of 1/2 or greater. Each free bet must be used in its entirety in one go, it cannot be split across several bets. The stake will not be returned with any winnings from your free bet. You must place your free bet within four days of being credited, or it will expire. The Ladbrokes promo code is open to UK & Ireland residents only. Note: We aim to give you the most up-to-date offers. Whether you've seen a Ladbrokes promo code on TV or are already a regular bettor, check back with us for the latest Ladbrokes offers. Ladbrokes is a historic UK bookmaker and was a traditional rival of William Hill for much of the 20th century. 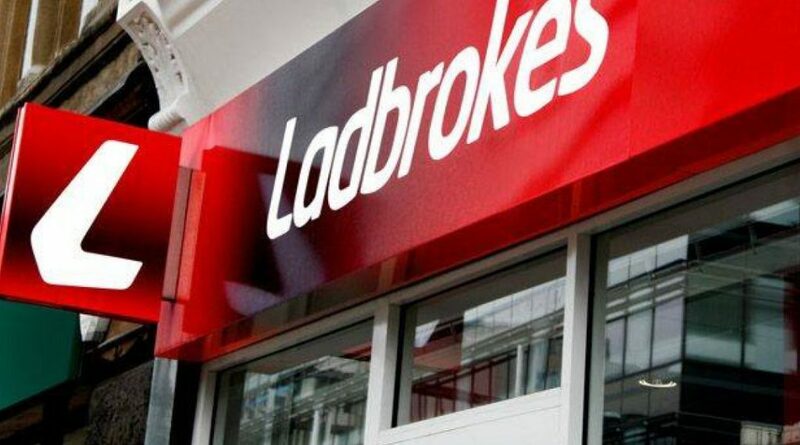 With over 2,000 Ladbrokes retail shops in the UK, there is a strong chance you have come across one on your local high street, with its distinct red and white colours and ‘L’ logo. The company also has betting shops in Ireland, Belgium and Spain. Online, the bookmaker offer a full range of betting and gaming options, with the Ladbrokes promo code giving access to many different free bets and bonuses. Over the years, Ladbrokes have often featured prominent figures from the world of football in their TV adverts, such as Ally McCoist, Ian Wright and Chris Kamara. The humorous and playful ads reflect the personalities of these charismatic ex-players. In 2015, Ladbrokes and Gala Coral announced that the two companies were merging, meaning two of the UK’s biggest high street bookies would join forces. What’s more, Ladbrokes have a range of sports that aren’t covered by all online sportsbooks, such as e-sports, floorball, futsal, pool and chess. They come out better than their rivals on this. You can also tweet Ladbrokes to ask them to give you a price on the bet of your choice, using the hashtag #whataretheodds. In September 2016, you could see specials on Man City to go unbeaten for the entire Premier League season, as well as Bulgaria to win all of their World Cup 2018 qualifiers. From the main page of the Ladbrokes sportsbook, the first quick link is ‘In-Play & Streaming’, located next to the A-Z list of sports. In our view, in-play betting and live streaming go hand-in-hand, so it makes sense to have a joint section for both. However, many bookies choose to have separate sections for some reason, which can be confusing, especially for new players trying to work their way around for the first time. So fair play to Ladbrokes for their design, we say. How does this historic bookie shape up then, when it comes to live sports streaming? The answer, it seems, is rather poor, compared with a lot of the competition. When accessing the ‘In-Play & Streaming’ section of the Ladbrokes website, we only came across a rather uninspiring selection of 6 upcoming football matches to watch over a period of 3 days. Online bookies usually have a good selection of tennis matches, so it was rather a surprise to see no tennis whatsoever with Ladbrokes. If you’re not looking to wager on tennis, of course that may not bother you, but it’s still not reassuring. On the whole, it’s disappointing for a bookie of Ladbrokes’ standing, but don’t let that put you off betting with them as a general rule. A final point: to watch any live events on Ladbrokes, you need to be logged in and have either a positive balance or a bet placed within the last 24 hours. When it comes to racing, UK & Ireland meetings are covered. You need to bet at least £1 to watch a race, which means your stream will be cut off if a race starts without you having wagered on it. In addition to the free bets when signing up, there are also several Ladbrokes promo codes available to existing customers. These often take the form of price boosts on big matches or races, giving you the chance to secure extra winnings if you decide to back a boosted selection which comes in. The daily price boosts are available as a coupon on the website, so you can see them all listed together and work out which selections offer the best value. Ladbrokes also offer moneyback or free bet offers from time to time, with no promo code required. This can be depending on the result of the match or when you make a qualifying bet, for example an in-play mobile bet. Finally, there is acca insurance for those painful scenarios when you miss out by just one pick. Racing fans can get Best Odds Guaranteed on both the horses and the dogs, while horse races are subject to an even better offer which was launched in 2016. With Best Odds Guaranteed+, if you take an early price or board price and the SP is greater, you won’t get paid out at the greater price, as is the case with regular BOG; you’ll actually get paid out at the next highest price up for extra cash winnings. The BOG+ deal is innovative and unique to Ladbrokes as far as we know. We like to see bookmakers creating new kinds of offer, to add a bit of extra excitement when betting on your favourite sports. On the whole, Ladbrokes’ promos for existing customers are about par for the course. Given that their welcome promo is such a high value free bet, that might be a source of disappointment to some. Several sections of the site are dedicated to recreating the thrill of a casino night, with separate tabs for Casino, Slots, Games and Live Casino. Each section has its own wide choice of games and some feature a special offer for new players. There are several bonuses available to sink your teeth into, so let's have a quick overview of these. You can receive £50 in bonus funds when you make a first bet of at least £10 at Ladbrokes Casino. 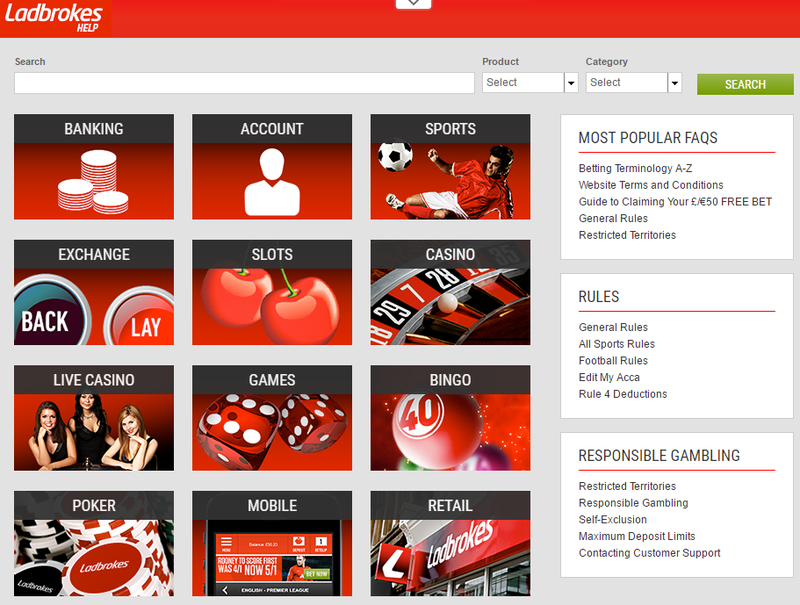 This is only open to new customers who have never made a first deposit in any of Ladbrokes' online products (e.g. sports, live casino, poker). New customers who are 18+ only. Min bet £10 on qualifying Casino/Slot games. 40x wagering reqs (bonus only) on selected games. Bonus valid for 30 days (bonus & winnings removed). Bets covering 70% or more of Roulette table don't count to wagering. The Games section of the Ladbrokes website features many 5-reel slots, 3-reel slots, jackpots slots, table & card games, arcade games, video poker, virtual sports, keno & numbers games and scratchcards. You can also find some of the games that are available on machines in Ladbrokes retail shops, such as Monty's Millions, Rainbow Riches Pick ‘n' Mix and Deal or no Deal. If you want to replicate your betting shop experience from the comfort of your home or when using your mobile on the move, this will allow you to do that. The Poker section of the site relies on state-of-the-art software to run smoothly and with advanced graphics for even greater realism. As one of the leading gaming sites, the lobby is lively and offers a good selection of tables to satisfy both high and low stakes players, whether they are amateurs or veterans of the game. The display of tables in play has been carefully studied and adapted to an online poker player's uses, allowing multi-tabling of up to 16 tables in one single window of the poker client. The poker room relies on dedicated software for desktop users and an app for mobile players. To get the highest value of the first deposit bonus, you will need to earn points by contributing to the pot in real-money play, which will gradually release the bonus into your balance. Don't worry, you have 90 days to secure the full amount of £1200 if you wish to so time is on your side! New real money customers who are 18+ only. Paid as tickets and pending bonus. 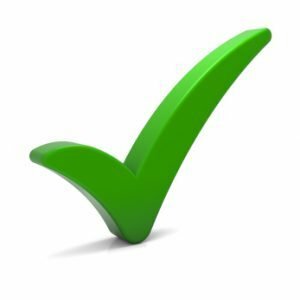 Bonus funds released with point accumulation. 90 days to accumulate points. Freeroll tickets valid for 2 months. Twister tickets valid for 1 month. Tournament tickets valid for 2 months. Cash table ticket valid for 30 days. This is a similar system to that offered by other competitors. See our guide to the latest William Hill offers if you are looking for more similar bonuses. 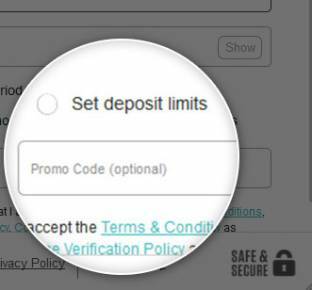 As for some of the casino bonuses, you will need to opt-in to use the Ladbrokes promo code to play Poker. Visit the promotions page to do this. In 2019, new members of the Ladbrokes Bingo community can get a big bonus for a comparatively small outlay. When you register with a new account, all you need to do is deposit and spend £10 or higher. You will then get a £40 bingo bonus to play with. In addition, you'll have 7 days access to the bingo guest room, reserved for new players. Bonus credited as £40 bingo bonus with 2x wagering, bonus valid for 7 days. The Ladbrokes promo code can also be claimed through Ladbrokes mobile apps. Apple products like the iPhone and iPad are the best covered with 9 different apps (Sports, Casino, Games, Poker, Exchange, Bingo, Lottos, The Grid, Sportsbook for Tablet). Meanwhile, 5 different apps can be downloaded for Android devices: Sports, Exchange, Casino, Games and The Grid. The Windows Store currently only offers the sportsbook app. We recommend checking which apps are available for your mobile or tablet if you are not sure. Note: The Ladbrokes promo code is valid for users registering via any mobile app, regardless of the device. It seems to us that from the user's point of view, having as few wallets as possible keeps things simple. For example, if you have cash in your sports account but nothing in your exchange account, it's not exactly convenient to have to carry out a deposit or transfer in order to fund an exchange bet. Betfair, who offer more or less the same services, allow you to use the same main wallet for sportsbook betting and exchange betting. However, they also have separate wallets for Australian racing and poker, so it's swings and roundabouts really. As you can see, no fees are charged for any deposits or withdrawals made when betting with Ladbrokes. This is refreshing, as some bookies stick a cheeky fee on certain payment methods, like credit card for example. That chips away at any profits you make with winning bets, which we don't want! Note: be sure to check the full terms and conditions regarding payment options when you use the Ladbrokes promo code. By following our guide, using the Ladbrokes promo code should be a piece of cake. If you get stuck, you may need to look at the help centre and FAQ pages, or get in touch with the bookmaker’s customer service. When you go to the help centre on a desktop, the sections are broken down by product and then by category. You can choose to use the search bar and filter results or click directly on a product/category combination. On the right hand side, the ‘Most Popular FAQs’ (including an article for new players wanting to use the Ladbrokes promo code and claim their free bet), ‘Rules’ and ‘Responsible Gambling’ are listed, so you can access certain help articles quickly. If you are accessing the site by mobile, the help centre is slightly different. You don’t see the products but the ‘Most Popular Answers’ and ‘Featured Support Categories’ are there, while there is an option to open up a search bar. On the whole, this help section is pretty thorough so you shouldn’t go wrong. However, there are always possible exceptions where you might need to contact customer services, for example if you typed the promo code incorrectly or wanted to double check an unclear term. From our experience, Ladbrokes customer service leaves a little to be desired. It’s easy enough to contact someone, via the established methods like phone and email, or more modern options like Twitter or live chat. However, the response times can be a little long and we have sometimes been directed to a customer services representative from the wrong section e.g. a sports betting person, when clicking from the casino site. Ladbrokes only has separate customer service phone numbers for sports, gaming and exchange, whereas certain other bookmakers have several more, so you know you are going through to the right person straight away. Hopefully, you won’t come across any problematic situations when betting with Ladbrokes or using the Ladbrokes promo code, but if you do, just bear in mind it might take a little longer to get sorted than with other bookies. As an international bookmaker, Ladbrokes has great sites for international players too. From Ireland to Australia, the bookmaker specialises in creating betting sites tailored to individual markets. With its unique promo codes, the bookmaker offers the same great service around the world. Free bets are currently available to all new customers. Note: the Ladbrokes promo code may not be applicable in all countries.